Best value going Longest lasting most puncture proof Essential for electric bikes where high torque eats other tyres up. .
Fitting a chore See Youtube clips - especially as 20" rims have less circumference play. The trick is to force the bead of the tyre (with slightly inflated tube inside) into the valley of the rim, working around clamping it in with cable ties or tape Then ease the final bit on with levers. .
Schwalbe tubes with Woods /Dunlop valves the best to get Goop in as U DON'T want EVER to remove this tyre 'til it's finished! Is This The Right Width For Moulton Tsr9? Which Inner Tube Is Best? Unfortunately as we don't stock Moulton bicycles we would have no way of knowing what width tyres are suitable for your bike. From a quick internet search I can see it comes as standard with 37mm wide tyres, these Marathon Plus tyres are 47mm, so if your frame and forks have at least 5mm either side of extra clearance then these tyres should fit fine. 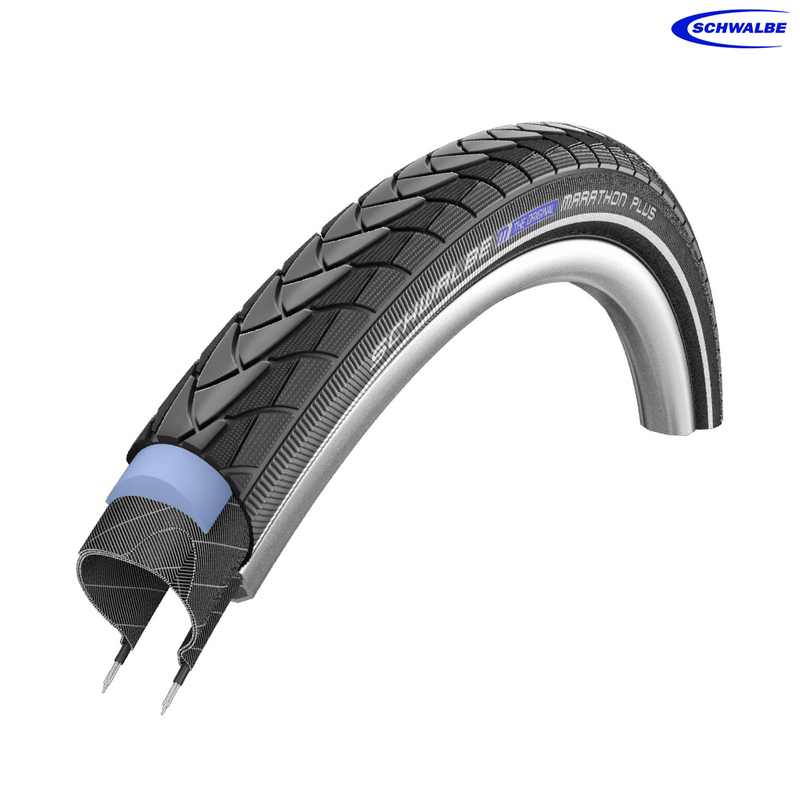 The best tube to go with these tyres is the Schwalbe SV7 which is SJSC part number 13004. You rims won't actually be 47, that would be the width of the tyre that is currently fitted in millimetres (47mm). Most rims can take a wide range of sizes and if you currently have 47mm tyres fitted your rims should easily be able to take 40mm tyres.